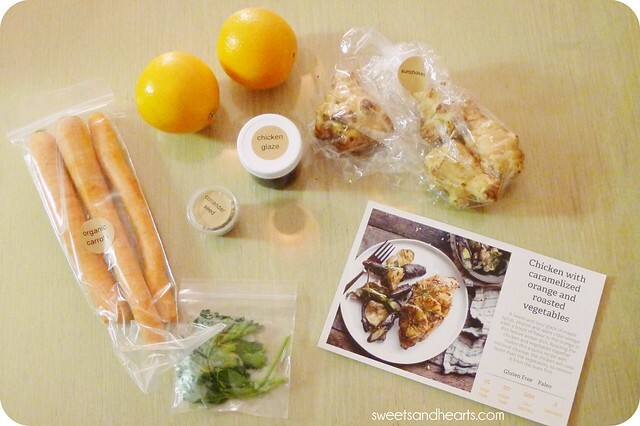 Review: I Tried Sun Basket's Organic Meal Delivery Kit! a. I don't have the time (and/or am lazy occasionally). I have a long commute, so by the time I get home from work, It's late and I'm already hungry. Sometimes I end up making or eating (fast food!) the same thing over and over again, and that gets boring. 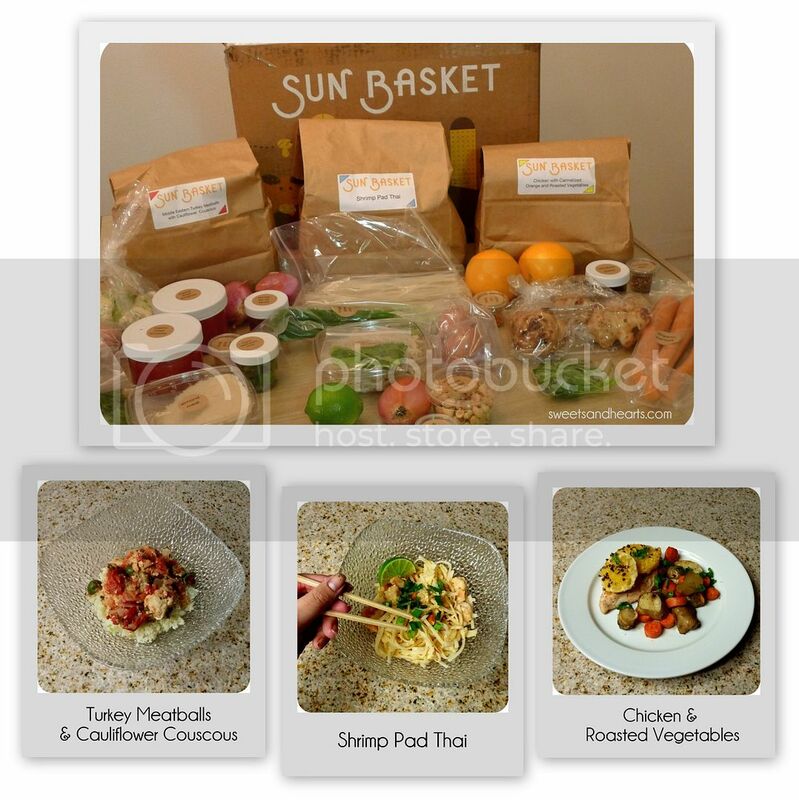 If you live along the west coast, an amazing solution to get you out of your cooking rut is Sun Basket. It's a subscription based weekly meal delivery kit filled with everything you need to make three delicious organic meals. Ingredients are sourced from local farms, so you're guaranteed to get the freshest produce available. I got my box on a Tuesday, with all the things I needed to make three meals for two people (six meals total). They send you a big box filled with recipe cards, instructions, and meals grouped in labeled bags (be sure to check the cardboard under the bags for the meat and/or seafood items). Everything is clearly labeled and pre-measured to make preparing even easier (nothing goes to waste). Plus, most meals take around a half hour to make! I went with meat and seafood dishes, but they have other options to choose from, including gluten-free, vegetarian, and paleo. I really liked that I got to work with a few ingredients I'd never heard of or cooked before (am I the only one who didn't know what a sunchoke was?). I even learned a few new simple techniques that added dimension to the already creative dishes, such as toasting coriander seeds, making turkey meatballs from scratch, or even using a food processor to turn cauliflower into couscous. I was extremely happy with all of the meals I picked out. 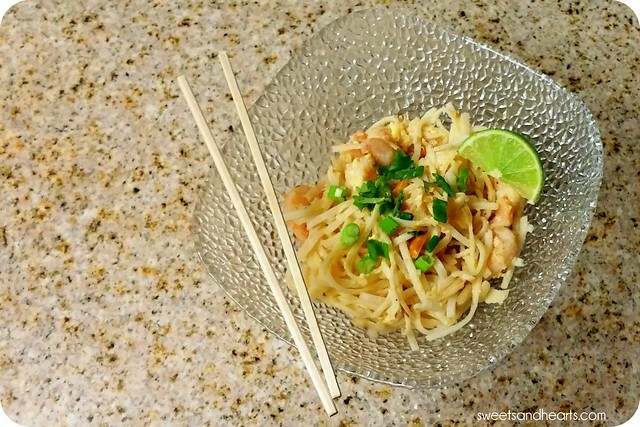 Each one was flavorful and easy to make. Also, the proportions are very generous and filling--I had some leftovers that I was able to bring to work the next day. Here are the two other dishes I made. Don't they look delicious? 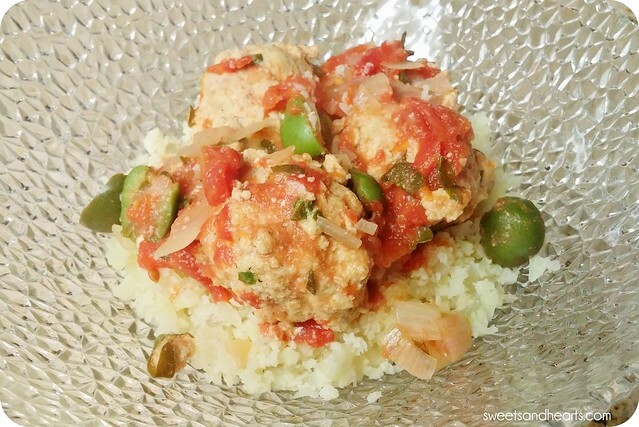 The turkey meatballs with cauliflower couscous were my favorite in the bunch! Very tasty. It's under $12 for each meal, starting at three meals for two people per week (about $70). That may seem a bit pricey, but considering how much takeout can be, it's a great deal! Shipping is free and they have a wonderful recycling program where you can send packaging materials back at no charge. Skip weeks or cancel whenever you want! There's a "use/freeze by" date on the meat/seafood and produce arrives fresh, so it makes sense to plan on cooking the meals within a few days of receiving. Ingredients include non–GMO produce, responsibly-raised, hormone-free meats and sustainably-sourced seafood. Everything is extremely fresh! The only thing I had an issue with was the amount of time it took to cook one of the dishes. It said it should take around 40 minutes, but it took me over an hour. However, I'm not the most skilled in the kitchen (slow at chopping) so I'm pretty sure that's the main reason. But hey, I was still able to make the dishes successfully, even if it may have taken me a bit longer. Don't be scared if you're a kitchen newbie! 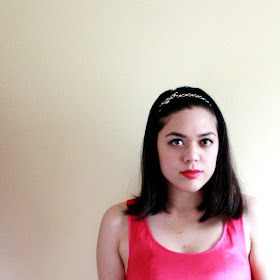 Overall, the concept is simple but revolutionary. It has given me a whole new outlook on cooking. I love how Sun Basket takes the guesswork out of making a healthy, delicious, easy--and yes, impressive--meal! I had never thought of trying to make my own pad thai or Middle Eastern meatballs before. Cooking doesn't have to be so intimidating, difficult, or boring. Don't forget to check out their site to sign up. 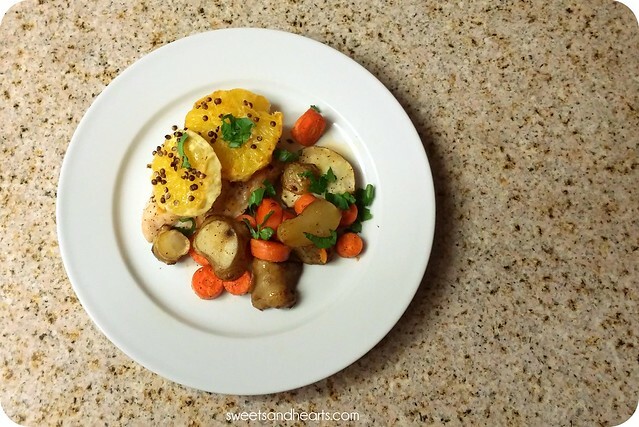 See what meals are coming up next or learn more.